Get the LOWEST 33rd Company® Network Partner Discount rates for the Best Services in the Kansas City Metro! Our partnership with these trusted vendors ensures the highest quality services at the best rates! Please complete the contact form and get connected with one of our trusted Kansas City Metro service providers. AAA Movers is a trusted network partner of 33rd Company, Inc. The AAA Movers team has been a leader in residential and corporate moves since 1964, and is dedicated to providing fast, reliable, and quality moving services locally and nationally. AAA Movers also provides storage services. 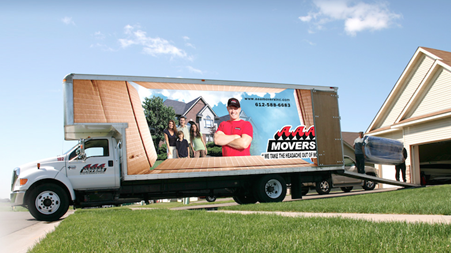 AAA Movers is an award winning service provider, and has a strong and dedicated staff of professionals. 33rd Company is proud to refer our valued clients, and customers to AAA Movers. For more information, or for a free quote, please click on our contact page, and select AAA Movers. HandyQuick is your partner for Residential Home Maintenance Services. As a preferred vendor for 33rd Company, Inc. our network of service providers has helped thousands of people with their home projects, improvements, renovations, and rental property maintenance services. From Flooring to Roofing, we do it all, and with one call! HandyQuick will get multiple bids at your request, and engage the contractor you select to provide the highest quality service available I the industry. If you have a remodel project, deck, or need a new roof – please click on our contact page, and select HandyQuick MN LLC! Want BIG Discounts from major retailers? Join the 33rd Company® Community Buying Group, and benefit from the volume discounts that are afforded to large property management companies. 33rd Company® offers our customers, clients, vendors, and others the opportunity to join our Community Buying Group and get instant discounts from many retailers including Lowes®, OfficeMax®, Sears®, National Real Estate Group Insurance®, Sherwin Williams®, and many more. Your membership in this Investor Centric group provides you with otherwise unattainable discounts. Click on the ICON to learn more and register for membership!